It’s probably happened to you… while browsing one website you ask yourself if you are still on the same page. Confusing, right? 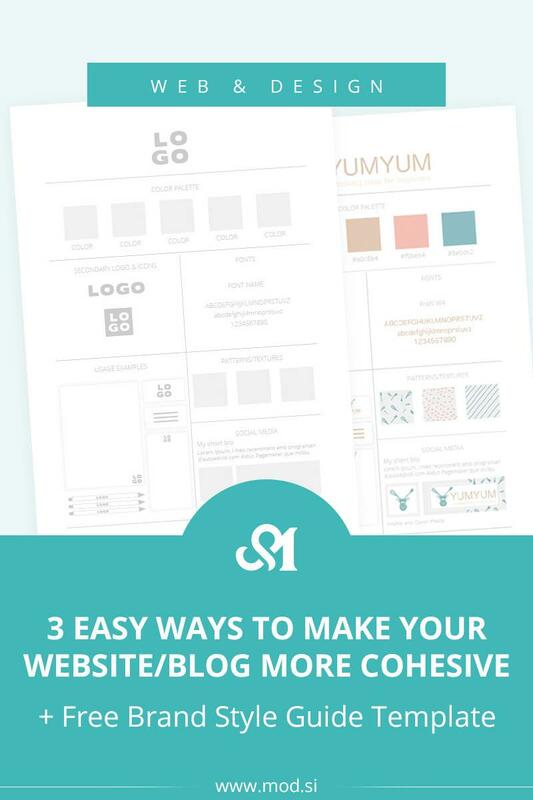 On your blog or website, you want to create a cohesive feeling, that will give your visitor home feeling while browsing your website. It is important that every website or blog also have its own visual identity (more about visual identity you can find here). Using logo cohesive is so important. It is ideal that logo appears in all necessary places like menu/header of your website, as a favicon, on documents, maybe even in photos… Because we usually use a logo in different places, we also need variants of a logo for different formats. If you have prepared all of this in advance, when you need it you just use. And what is the most important is that you every time use the same one! And that’s the most important! Consistency. If you are using icons and other graphics make sure that you use the same style and they look like a whole. It all depends on you. But it’s the best to have a prepared plan, which you just stick to. If you prepare your color palette in advance, then it’s much easier. For example. when you need a color, you just choose one from the palette and everything will look ok. The third element is the font. The mixing font can make a lot of confusion. Choose the font that best suits your needs – make sure that it has all the necessary symbols, is readable, will be useful for a long time (not too trendy)… and then use it in all texts. You can choose one font or have separated font for title and body. Use the same font in the graphics and texts you add to the photos aswell. Because then you have everyinging on one place. 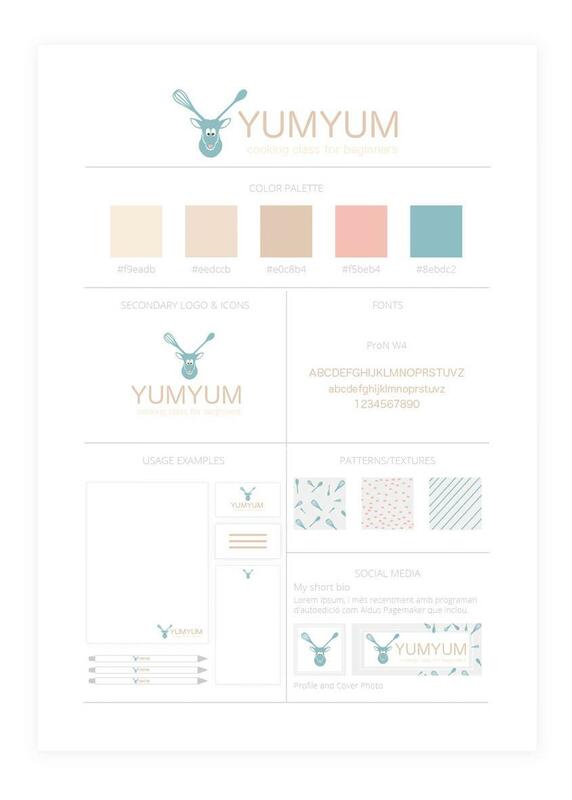 And when you need something, there is no dilemma which color to use (or even use another shade), which font, logo… It is also very useful, when you hire a designer or want a new website – you simply send them a document and so all the information about the visual identity they have in one place. 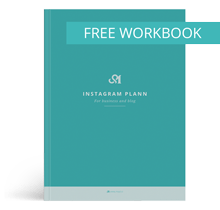 If you already have all elements of visual identity, or you become inspired to create this document (.ai format) for yourself, I have designed template, that you can use. 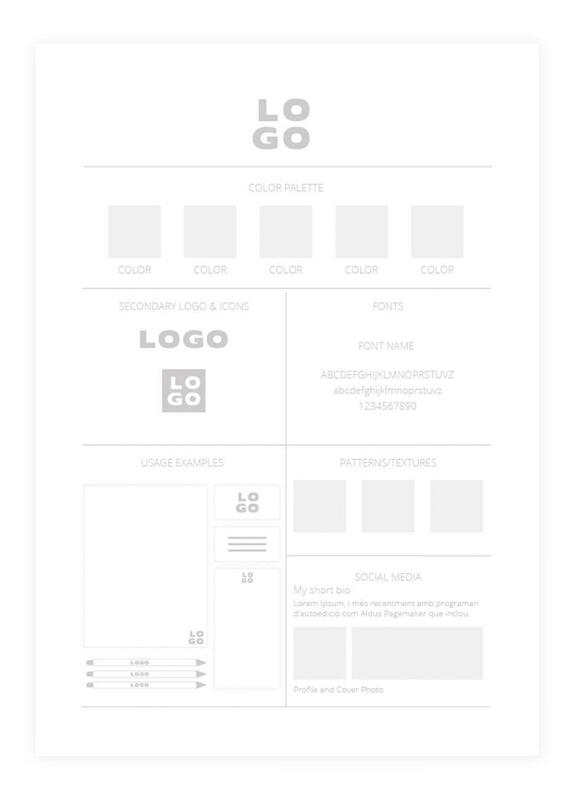 This is not, of course, a complete visual identity manual, but it is a quick and easy guide for anyone who wants to organize the most important elements on one page. If you have any questions, suggestions, or you want to share your filled in template, blease do so in the comment below. This is awesome, I’ve bee blogging a long time but I could totally still use this! Cohesiveness is so important and this is a great way to keep it all front of mind. Thanks!! Thanks, happy to know that this helps to long-time bloggers as well. This is also great when you would like to refresh your visual appearance. I agree with these points…they make a great blog! Thanks for sharing! This is great, definitely love that template! Great tips. As an instructional designer, the importance of cohesiveness has been drilled into me. Your post makes perfect sense.